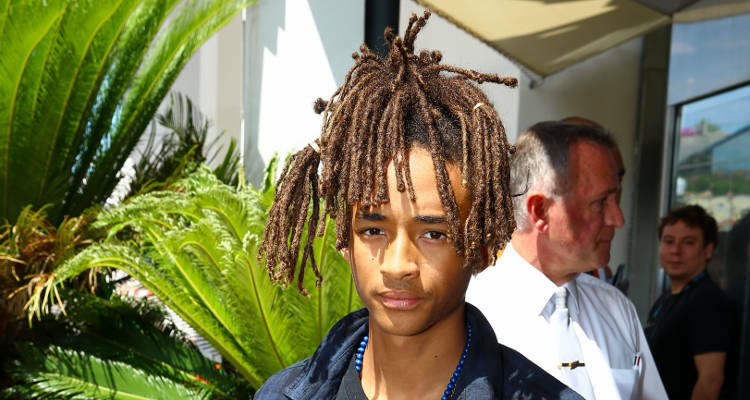 Androgynous trendsetter Jaden Smith celebrates his 18th birthday today (July 8), and we want to celebrate his eccentric fashion sense on his special day. The famous offspring of Hollywood A-lister Will Smith and his wife, Jada Pinkett-Smith, has become a celebrity in his own right thanks to his gender-bending sense of style. The handsome young man hopes to fight stereotypes and blaze a trail for like-minded people who prefer to dress outside of gender norms. He proclaimed that he is willing to take a few punches for the team to cultivate a change in the culture. The 18-year-old said, “The world is going to keep bashing me for whatever I do, and I’m going to keep not caring. I’m going to keep doing the same things—I’m going to keep doing more things.” Good on you, Jaden! Jaden’s friend circle includes other celebrity offspring like 18-year-old Kylie Jenner, 20-year-old Kendall Jenner, 21-year-old model Sarah Snyder ,and 17-year-old actress Amanda Stenberg. The Pursuit of Happyness star exclaimed, “You just have to believe in yourself, you know.” Wise words from the young one! The Karate Kid star attracted a lot of attention after he appeared in Louis Vuitton’s Spring/Summer 2016 campaign. Jaden is frequently seen wearing skirts and dresses alongside his equally famous sister, 15-year-old singer/actress Willow, and has even shown up at a Hollywood premiere in a colorful skirt. Jaden Smith is presently shooting in London with director/writer Baz Luhrmann. Together, they’re working on a new Netflix series called The Get Down, which is about the early days of hip-hop in the Bronx in the 1970s. We salute his bravery for taking a stance on behalf of all the voiceless so-called misfits of the world by fighting stereotypes. We hope he has a wonderful birthday and wish him all the best for his future endeavors. Break a leg, Jaden!